Rev. J. Friedel, M.A., M. Div., was ordained a priest for service in the Diocese of Springfield-Cape Girardeau, Missouri in December, 1986. In 2006, Fr. J. was named Director of Vocations and Seminarians for the diocese and was also assigned as pastor of St. Peter the Apostle Parish in Joplin, Missouri. 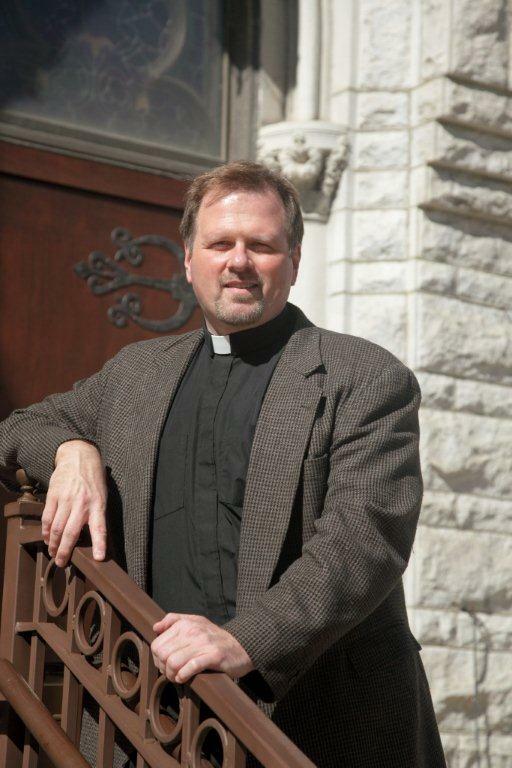 He continues to serve as the Diocesan Director of Campus Ministry for the diocese and Director of Catholic Campus Ministry at Missouri Southern State University. Fr. J. is a former Chair of the Executive Board for the national Catholic Campus Ministry Association, and still serves that organization as the “Ambassador for Certification” on the Certification Committee, which assists the United States Conference of Catholic Bishops in promoting and certifying campus ministers for the United States. Fr. J. is well known as a preacher and speaker and has given numerous national presentations for students, campus ministers, and higher education administrators, ranging from Ritual and Greek Life to Catholic Identity and Engaging the Academy. He laughingly reminds his students and parishioners, “I talk for a living!” After 28 years as a priest, his favorite work is still to preach and preside at Sunday Eucharist. Fr. J. says he has thoroughly enjoyed his time as a both a pastor and a campus minister and is grateful that he can remain active in both fields of ministry. Along with his responsibilities in the training of new priests for the diocese, the three areas of ministry provide a wonderful crossroads where his commitment to his faith and his love for learning and teaching come together in a rewarding manner.